The US Department of Homeland Security divides the Commercial Facilities Sector into eight sub-sectors that encompass public assembly and outdoor events. Although there are no specific or credible threats to New Jersey, recent events, including the 2016 bombing in Seaside Park, demonstrate terrorists continued targeting of large public events. Event organizers are encouraged to implement risk mitigation measures to enhance the safety of participants, staff, and spectators of outdoor endurance events such as running or cycling races. For the 2017 Atlantic hurricane season, which began on June 1, the National Hurricane Center (NHC) will provide a new service—storm surge watches and warnings—which will alert the public about life-threatening inundation caused by hurricanes and other tropical cyclones. After foreign terrorist calls to attack shopping malls in the West, which has been circulating in propaganda since 2015, the Limbecker Platz mall in the western German city of Essen closed on March 11. Two men were arrested after German police received a tip that ISIS contacted followers in Germany to attack the mall—the second terror plot against malls in the country since December 2016. A dam failure like the one on February 12 at the Oroville Dam in Northern California does not present similar risks to New Jersey’s population because of differences in the State’s dam design, topography, and magnitude. According to media outlets, heavy damage to the Oroville Dam’s main spillway compromised its structural integrity, hindering its safe release of floodwater. Water flowing down the unpaved auxiliary spillway eroded the hillside and roughly 180,000 people in the inundation zone were subsequently evacuated. The ransomware infection of Cockrell Hill Police Department’s (CHPD) servers in Texas on December 12, 2016 revealed cyber vulnerabilities that can be mitigated. The hacker behind the attack demanded $4,000 in bitcoins to decrypt CHPD’s files. After consulting with the FBI Cyber Crime Unit, CHPD decided not to pay the ransom and wiped its server to remove the virus. The wipe caused the loss of some body camera, dash camera, and surveillance videos, as well as photos that were not properly backed up. The proposed Dakota Access and Keystone XL Pipelines pose little impact to New Jersey due to the State’s robust, independent infrastructure and the lack of credible threats from anarchist or environmental extremist groups. The Dakota Access Pipeline will transport crude oil from the Bakken shale oil fields in northwest North Dakota to a terminal in Illinois, where it will travel to refineries on the Gulf of Mexico and the Midwest. The Keystone XL Pipeline is a proposed project awaiting US State Department approval, which will provide a more direct route to transport crude oil from Alberta to Nebraska. NJOHSP continues to offer resources to religious facilities in New Jersey, especially following recent bomb scares against Jewish centers across the United States and Canada. Since January, approximately 60 Jewish Community Centers (JCCs) and day schools in 30 states have received roughly 100 bomb threats. The FBI is coordinating all investigative activity with state and local law enforcement partners. New Jersey is taking proactive steps to mitigate the risk of Zika virus disease transmission as flights from Newark to Havana begin in November. Cuba is a country where Zika is spread by mosquitoes and one of many areas in the Americas—including southern Florida in the US—that have local transmission of the virus. The New Jersey Office of Homeland Security and Preparedness breaks down mass shootings into two categories, ideological and non-ideological. This provides a clarified awareness of both ideological and non-ideological mass shooting incidents across the US, and the opportunity to separate ideologically motivated shooting into its own category for counterterrorism purposes. Mass shooting incidents which occurred domestically between January 2015 and June 2016 were analyzed using both of NJOHSP's mass shooting definitions. Based off the NJOHSP's definitions, there have been 38 incidents of non-ideological mass shootings and been seven incidents of ideological mass shootings. Of 45 total incidents since January 2015, 42 percent occurred on the East Coast. The Protected Critical Infrastructure Information (PCII) Program enhances the ability of private industry and government to share sensitive information about critical infrastructure with the assurance that it will be protected from unauthorized disclosure. NJOHSP defines swatting as the act of falsely reporting an ongoing emergency or threat of violence in order to prompt an immediate, tactical law enforcement response. Communities throughout New Jersey have been impacted by the recent rise of swatting, with over 200 cases occurring in 2015. Swatting involves a perpetrator making false claims of an emergency, often resulting in emergency responders arriving on site and disrupting normal activity. Pursuant to the Homeland Security Presidential Directive (HSPD)-5, the National Incident Management System (NIMS) was developed to enhance the ability of federal, state, and local emergency responders to manage domestic incidents via a single, comprehensive framework regardless of the cause, size, or complexity of an incident. NIMS guidance allows organizations and agencies to work together and effectively manage incidents involving all threats and hazards in order to reduce loss of life and property, as well as harm to the environment. On Saturday, April 30, the Federal Emergency Management Agency (FEMA) will hold its biannual PrepareAthon! National Day of Action. This event is a daylong national campaign, calling for individuals to increase their preparedness and resiliency efforts in anticipation of hazards most likely to occur in their community. The vast systems of pipelines in the United States are a fundamentally safe means of transport for energy related commodities, but present unique security challenges for the private sector and government. According to the US Department of Homeland Security (US DHS), these systems span over 2.5 million miles while transporting nearly all of the country’s natural gas and roughly 65 percent of hazardous liquids consumed nationwide. Anticipating threats, adapting to changing conditions, and recovering from adversity are the tenets of the resiliency mission undertaken by NJOHSP. 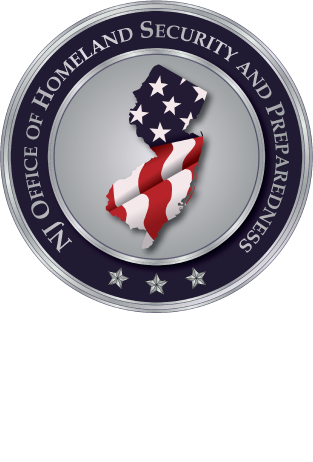 Through this mission area, NJOHSP aims to empower our partners and help build a State that is prepared, well informed, and ready to react to whatever threat it faces – whether a natural disaster or a human-induced event.